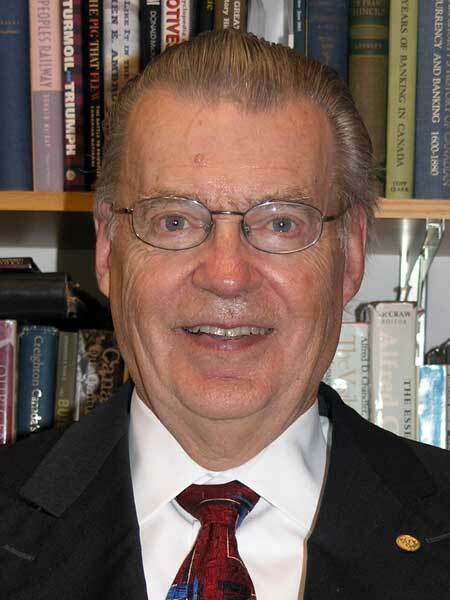 Born in Kelvington, Saskatchewan and raised in Leroy, he attended United College (now the University of Winnipeg) and was a 1959 graduate in Honours History from the University of Manitoba. He joined the Executive of the Manitoba Historical Society in the early 1960s and served a one-year term as President of the Society from 1967 to 1968. His term was short because of a work transfer to Toronto where he was a management consultant. Joe was a member of the Board of Directors of the Winnipeg-based Canada's National History Society, publisher of The Beaver (now Canada’s History) magazine, when it was established in 1994. He served as Volunteer Chair, President and CEO of that organization. He later served as Treasurer of the Ontario Historical Society, a member of the Board of the Champlain Society, and Chair of the Heritage Committee of the Albany Club of Toronto. In 1995 he was given an honorary doctorate by the University of Winnipeg. He is the director of the Canadian Business History program, adjunct professor of Business Strategy, and Executive in Residence at the Rotman School of Management, University of Toronto, and Chair of the Governors of the National Business Archives of Canada.